Today we released support for Google Chromecast, a $35 HDMI streaming device that allows you to stream video content from the web to your TV. 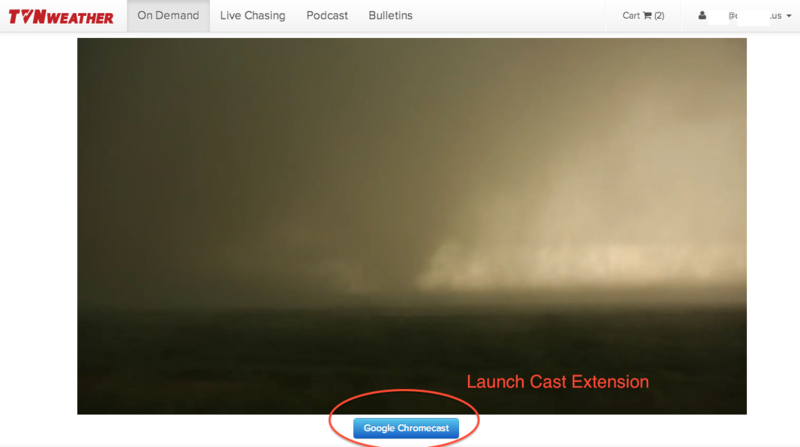 In order to stream Tornado Chasers to your TV via Chromecast you must be using the Chrome browser with the Google Cast extension installed. 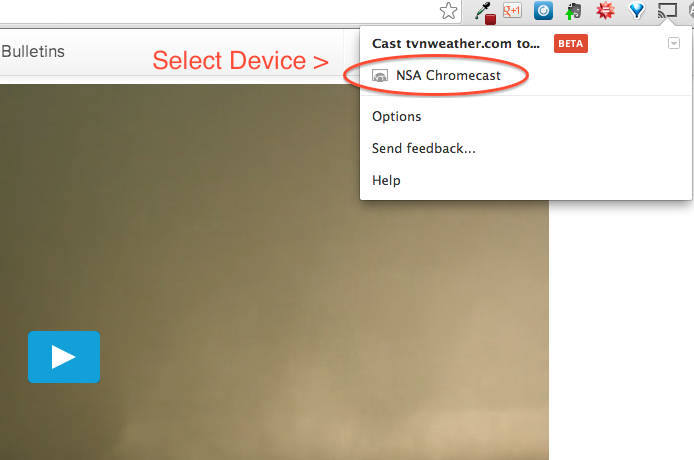 You must also be on the same network as your Chromecast device and your device must be fully configured. 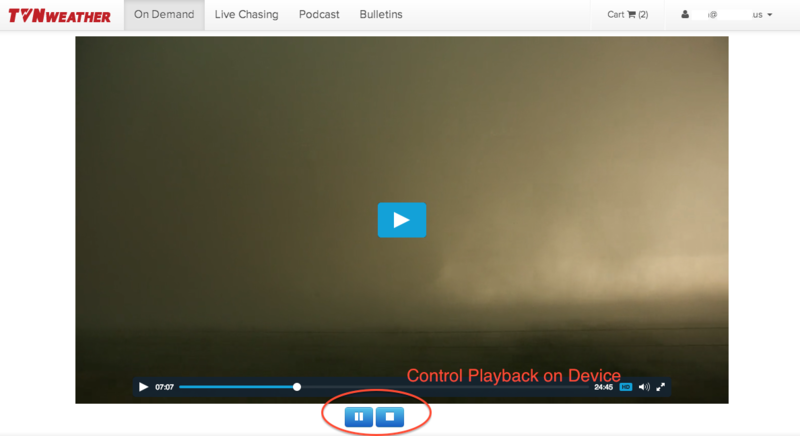 If you have everything installed and configured correctly you’ll see a Google Chromecast button appear below the media player where you normally stream an episode on the website, as shown below. When you press the “Google Chromecast” button, the video will pause and the Cast extension will popup and ask you which device you would like to stream to (in case you have multiple Chromecast devices in your house). When you select a device the streaming will resume on your TV where you left off in the web player and the “Google Chromecast” button will be replaced with two buttons for controlling playback on your TV. From those buttons you can pause/resume and stop casting altogether. The public release of the Cast SDK has only been out for a few days and as you can see the Google Cast Chrome extension is still in beta. That being said, there is possibility that you may run into issues and if that happens please contact support. This release unfortunately doesn’t include adaptive bitrate streaming but the quality is very high, around 5Mbps 1080p. The media player library of the Cast SDK, which is required for adaptive bitrate streaming protocols, is at version 0.3 and still considered a beta release. We weren’t able to get HLS working on it yet due to issues with the library but we are confident those problems will be addressed soon. Once adaptive bitrate streaming is working the next logical steps would be to bring Chromecast support to our native mobile apps and create tighter integration with the web-based video player.